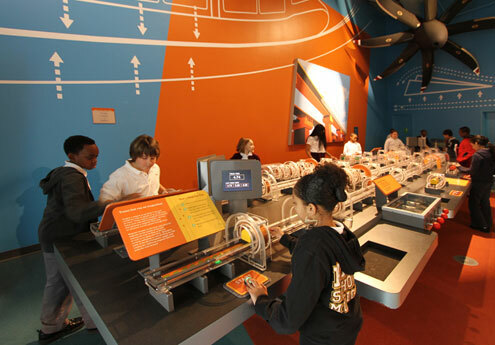 Forces in Motion Connecticut Science Center « Jeff Kennedy Associates, Inc. 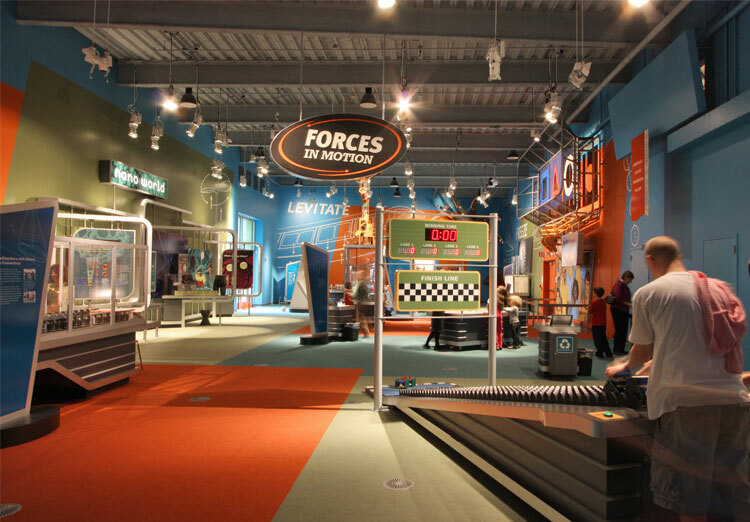 In Forces in Motion, the recently opened Connecticut Science Center’s physical sciences gallery, visitors use their science process skills while interacting with a group of large-scale, multi-user activities. 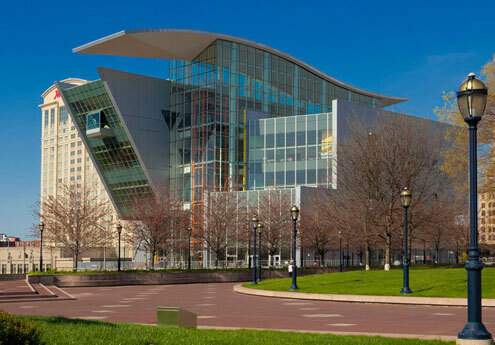 All components are open-ended, encouraging experimentation and extended use. Forces in Motion’s multi-user activities are open-ended experiments with measurable outcomes. 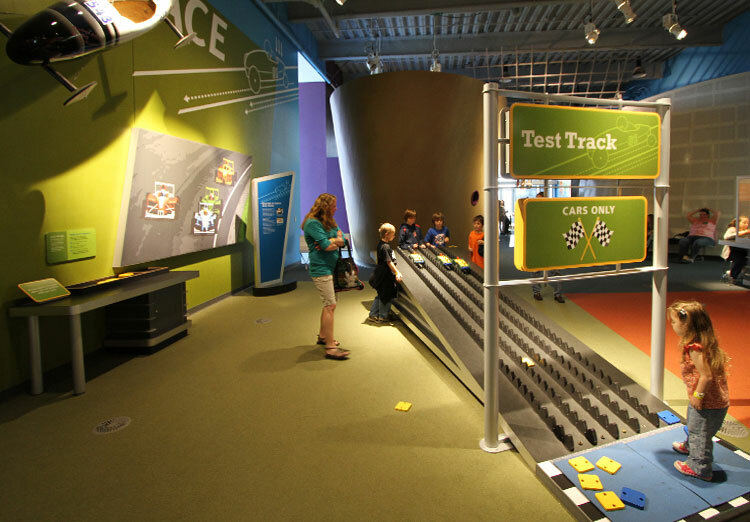 Visitors try out different approaches to downhill race cars, sailboats and a mag-lev train to see how performance changes. 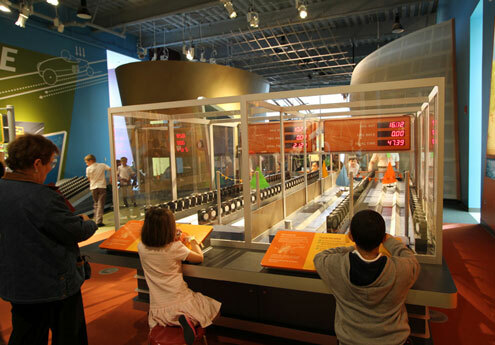 Visitors experiment with a variety of modules of different levels of magnetic power along a 20-foot-long mag-lev test bed, getting firsthand experience with magnetic levitation and magnetic propulsion. Our version of this classic activity encourages friendly competition and social interaction as visitors on either side of a common hoop attempt to keep their ball in the blower air stream until getting it to drop through the goal. 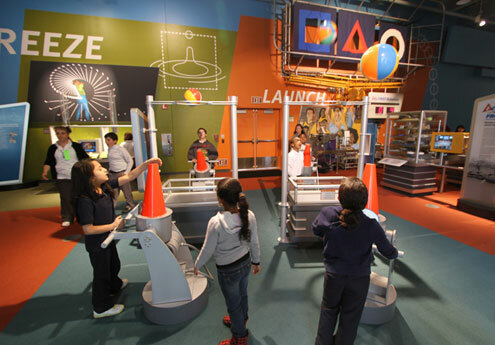 Users of the 4-lane sail table experiment with how a sailboat is pulled forward heading into the wind, and pushed forward going with the wind. Boats are sailed out and back with visitors controlling sail angle, while wind comes from small fans mounted the length of the track. Boats float on a cushion of pressurized air provided by twin air tracks. Visitors experiment with mass and acceleration on a downhill racetrack by placing weights over front and/or rear axles of a base car module. 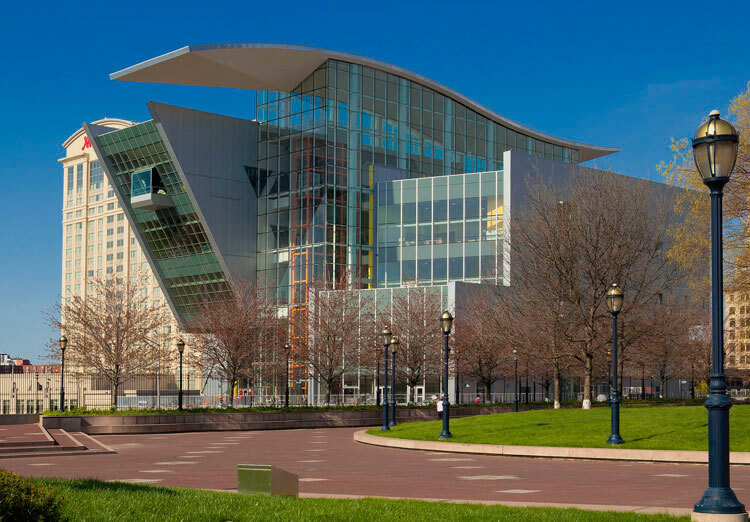 To add interest, cars roll smoothly down a catenary track bed on their square wheels. Elapsed times displayed above the finish line provide feedback to users.